This cute kitty crochet hat can be done in all sizes just change the hook size. It looks great with cotton or medium worsted yarn. It will look so cute wearing this kitty hat during the cold months or just for fun! rnds 6-desired length (lengths are listed above), Ch 3, (Counts as first Dc), dc in each dc around, sl st to join. 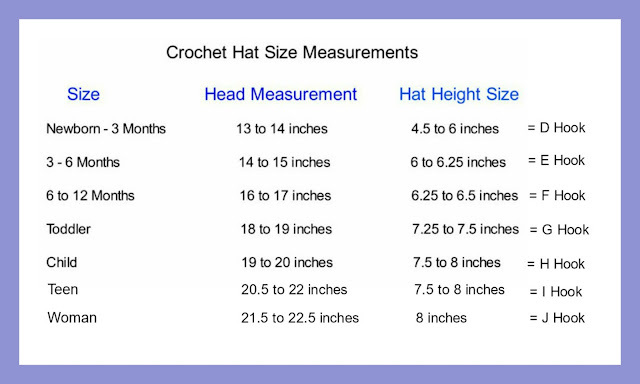 -55 dc, Repeat this until your hat reaches 8 inches or for your desired hat size and length. Fasten off and Weave in the ends. Trim: Change colors; add pink colored yarn with J hook, single crochet around the trim (bottom of the hat) and sl st. Eyes: Make 2 Eyes, leave a long tail to sew onto the hat. rnd 1. chain 2, Work 10sc in the 2nd chain from the hook. Join sl st.
Whiskers: Use three black pieces on yarn on each side of the face of the kitty. Each Whiskers measures 1 1/2 inches. Sew them on individually and tie them on inside the hat. place the whisker next to the eyes, about 1/2 inch away on both sides. rnd 1. chain 2, Work 10 sc in the 2nd chain from the hook. join sl st.
2. Ch 1, sc in each stitch around. (6sc) work in continual rounds, use a marker to keep track. 6. sc in each stitch around (18sc). Sew the ears on top of the hat about 2 inches apart. I really love this hat!!!! Hello Kitty is my all time fav!!! But I don't think I can master crocheting. I awarded you the Versatile Blogger Award! Check it out! LOVE this!!! Thank you so much for these wonderful patterns! i just found your blog !!!!!! plz keep posting your patterns !!!! how long did it take to do this hat? my daughter in law will be getting this for christmas....i hope !! Thanks, a couple months now, plan on posting as often as I can, I really enjoy it. This is so adorable! Question: how can you do the pattern for the one with the ear flaps in an adult size? Thank you for your awesome patterns! 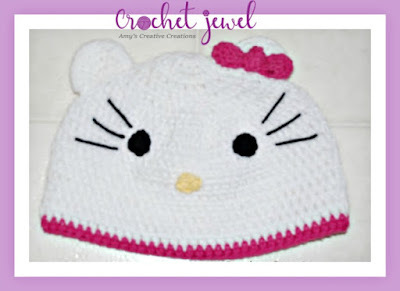 http://amray1976.blogspot.com/2011/10/crochet-hello-kitty-earflap-child-hat.html go to link and do the ear flaps with a J hook. Thanks very much for the adult hello kitty hat. I'm going to try to add the ear flaps today! thank you so much for all of your patterns! I love them! Thanks for sharing. I will be using this pattern for a group of kids at shelter for Christmas. I just finished this for my daughter. She loooves it! Thx for posting!!! Thank you so much for these wonderful blog patterns love this.